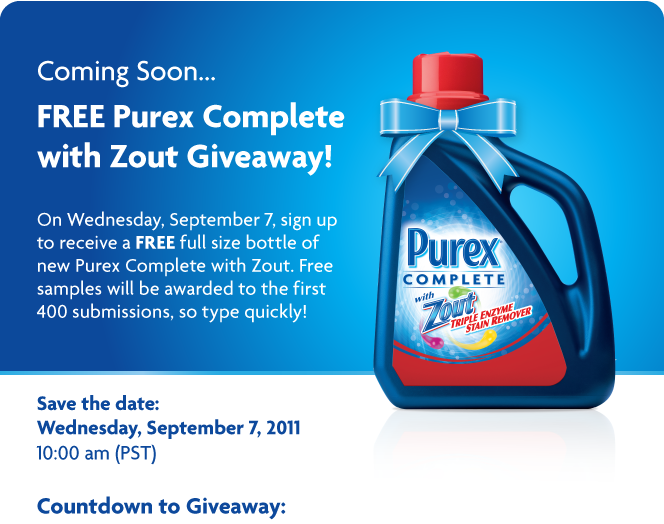 Mark your calendars to get your Free Full Size Bottle Purex Complete on September 7, 2011! Purex will be giving away 400 FULL SIZE bottles, so you will have to be super quick to snag this freebie! Go here on September 7, 2011 at 1:00 pm EST to try for you bottle!